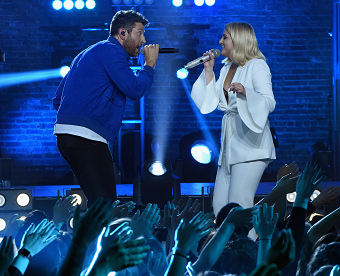 Set your dials and mark your calendars because CMT closes out its summer of electrifying music with the announcement of an all-new “Crossroads” mashup featuring multi-platinum, Grammy Award-winning pop superstar Meghan Trainor and platinum selling singer/songwriter Brett Eldredge premiering Monday, September 3 at 10 PM ET/PT. Country Music News Blog participates in advertising programs that help fund the operation of this site. For more information please visit our privacy statement. This entry was posted in Brett Eldredge, Featured, Television by Shauna "WhiskeyChick" Castorena. Bookmark the permalink.